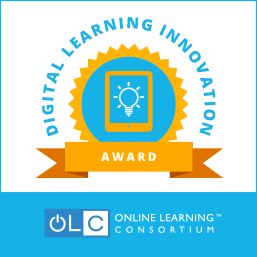 The following faculty-led team was awarded $10,000 for its innovative and creative program, dedicated to accelerating the adoption of digital courseware for general education or gateway courses. Dr. Chris Brown is a Senior Lecturer in Georgia State’s Department of Political Science and Vice President for Research and Analysis at the World Affairs Council of Atlanta. In Political Science, Brown teaches political economy of global markets, international political economy, comparative political economy, politics of development, comparative politics, and global issues. He is currently part of an Association of Public and Land-grant Universities (APLU) grant, designing and implementing an adaptive learning “Global Issues” course (with Dr. Jeannie Grussendorf and the RCII Research Team), and co-authoring a study on the impact of adaptive learning courseware in introductory, large section classes. Other activities include serving as the Department’s Internship Coordinator and teaching a course in GSU’s Executive MBA program. 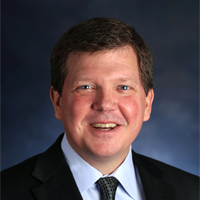 As a founding officer of the World Affairs Council of Atlanta, Brown’s duties include serving as the director and catalyst of the student research team developing and refining the Robinson Country Intelligence Index (RCII, http://rcii.gsu.edu/), a unique educational, research, and managerial tool. This tool and its associated pedagogy are regularly used in roughly a dozen graduate and undergraduate courses across disciplines at GSU (more than 2,500 students annually), and it has been used in dissertations in both business and political science. Jeannie Grussendorf is principal senior lecturer and undergraduate director in the GSU department of political science. 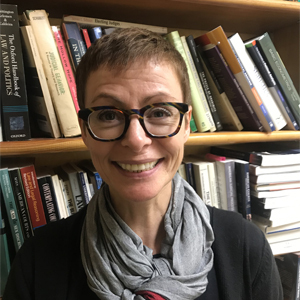 She has a Ph.D. in Peace Studies from Bradford University (UK) and teaches a variety of international relations courses (global issues, U.S. foreign policy, introductory international relations and politics of peace). Her research interests are peace and conflict studies, the theory and praxis of international relations and terrorism. Prior to coming to GSU, Grussendorf worked on a youth violence prevention project at the University of Texas Health Science Center at Houston (2000-2004) and taught at East Carolina University (2004-2006). Michael Shea manages the team responsible for collecting, cleaning, and verifying the data contained in the Robinson Country Intelligence Index. Michael is also an Instructor in the Political Science Department at Georgia State University. 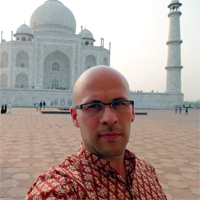 A George M. Sparks Award winner, Michael holds a Masters degree in Political Science, and is currently a Ph.D. candidate writing his dissertation on comparative human rights norms. Georgia State University, an enterprising public research university, transforms the lives of students, advances the frontiers of knowledge and strengthens the workforce of the future. The university provides an outstanding education and exceptional support for students from all backgrounds. Georgia State readies students for professional pursuits, educates future leaders, and prepares citizens for lifelong learning. Enrolling one of the most diverse student bodies in the nation, the university provides educational opportunities for tens of thousands of students at the graduate, baccalaureate, associate, and certificate levels. Georgia State University’s “Global Issues” course has 20+ sections, 15+ instructors, 100+ class sizes, and roughly 2,500 students annually. It faces problems common to many large-section, introductory classes, including different levels of prior student knowledge, students coming to class unprepared, professors needing to rely on basic lectures/pedagogy, and high DFW rates. Tied to an Association of Public Land-grant Universities (APLU) grant, we chose to embed the course in adaptive learning courseware – RealizeIt – and engage in an academic study assessing the courseware’s impact. Within the courseware, we integrated multiple resources, including an outside text, a unique data-literacy tool developed at GSU (the Robinson Country Intelligence Index; http://rcii.gsu.edu/), significant OER, and original content. The adaptive course was piloted full-scale in the Fall 2017, with more than 1,200 students across 13 sections (Face-to-Face and online; six taught by GRAs). In the Spring, we conducted a control study (half the sections adaptive, half non-adaptive). The non-adaptive, traditional course was also created with RealizeIt, holding factors such as cost and interface constant, while mirroring pedagogically how the course had traditionally been taught (we specifically aimed to test the courseware’s “adaptivity”). We created an adaptive course using RealizeIt, conducted a full-scale pilot in Fall 2017, and then engaged in a full-scale academic study with control groups in Spring 2018. Fall results included DFW rates down nearly 20%. A 29-question survey of roughly 800 students indicated significantly positive and statistically significant student impressions across all substantive questions. In the spring, DFW rates were again lower in adaptive courses (19.1% versus 21.4%), and student perceptive survey results were similarly highly positive and statistically significant. Turning to student performance, across 36 common test questions given to all sections (700+ students) in the spring, adaptive sections did significantly better than non-adaptive sections, with the strongest statistical significance being in face-to-face classes (converted to a 100-point scale, adaptive students scored 83.58% correct, versus 79.61% correct for non-adaptive students). Interestingly, results were also better in online courses, but did not show statistical significance.